Gettysburg Licensed Battlefield Guide Phil Lechak is the host for our Gettysburg Hospitals program. He is standing on the George Spangler Farm and is pointing to Powers Hill. This view was taken facing north at approximately 4:45 PM on Friday, May 13, 2011. Gettysburg Licensed Battlefield Guide Phil Lechak retired after spending 37 years working for the United States Postal Service. Phil first came to Gettysburg in 1999 and had Paul Cooksey as his guide. Phil became a self-described “Gettysburgaholic,” and decided to study to become a Licensed Battlefield Guide. He passed the December 2004 exam, and was licensed in November of 2005. He started as a part-time Guide, but became full time when he retired in January, 2007. To see Phil Lechak’s previous series on Camp Letterman, click here. In our first Gettysburg Hospitals’ post, Gettysburg Licensed Battlefield Guide Phil Lechak introduced us to the George Spangler Farm which is known as the site where Confederate Brigadier General Lewis Armistead died. 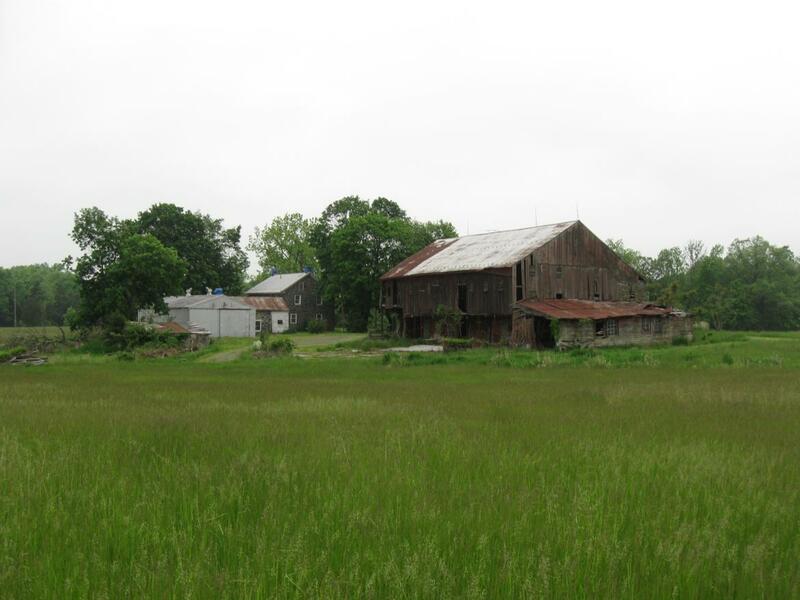 In today’s Gettysburg Hospitals’ post, Gettysburg Licensed Battlefield Guide Phil Lechak shows some photographs taken on the farm by William Tipton circa the 1880s and in 1906. This map shows the location of the George Spangler Farm. The farm is bordered by the Granite Schoolhouse Lane to the north, and Blacksmith Shop Road to the east. 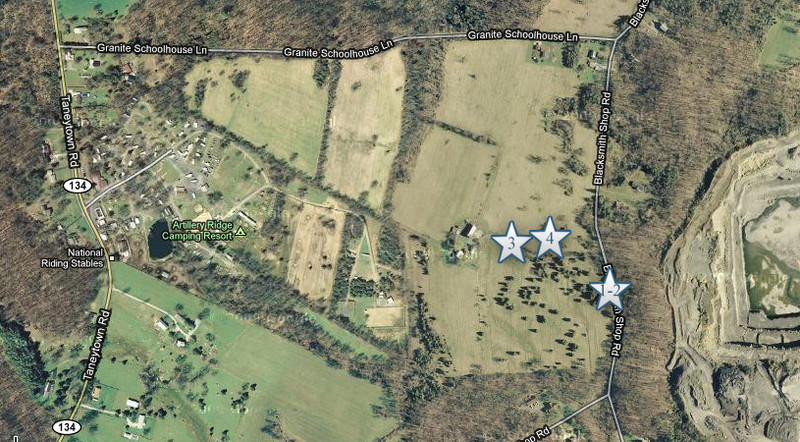 Videos #1-3 were shown in our previous Gettysburg Hospitals post. 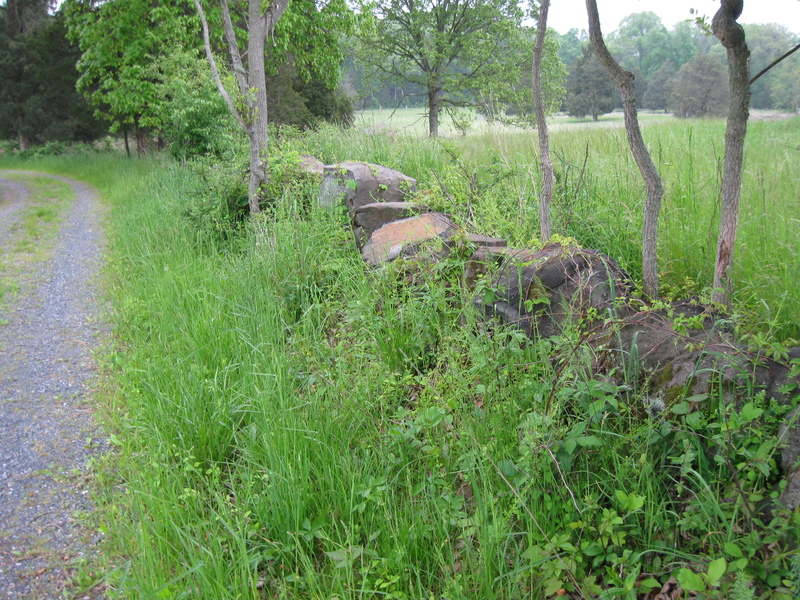 Video #4 was taken north of the lane/driveway leading to the Spangler Farm from Blacksmith Shop Road. This map was created facing north at approximately 8:00 PM on Friday, May 20, 2011. 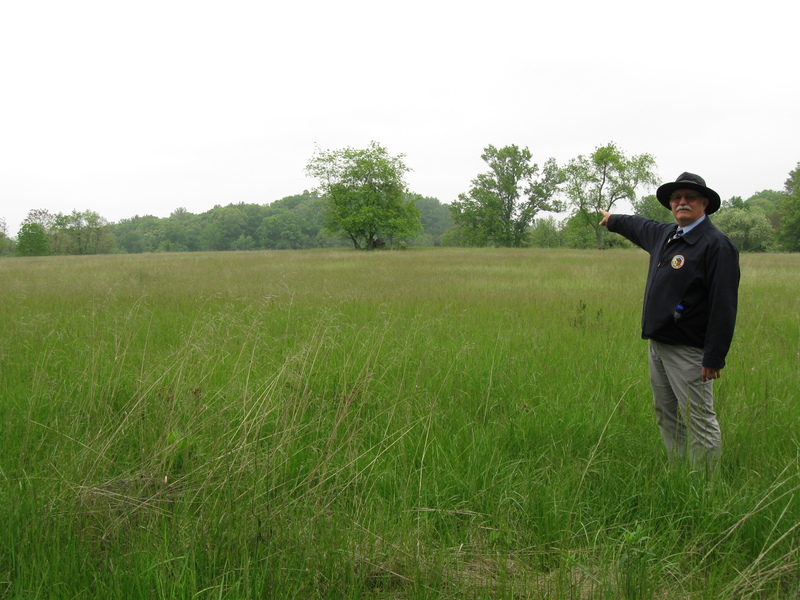 In Video #4 Gettysburg Licensed Battlefield Guide Phil Lechak is standing in the field east-northeast of the George Spangler farm buildings. He explains where photographs were taken by William Tipton circa the 1880s and in 1906. This view was taken facing north to northwest to north to southwest to north at approximately 4:45 PM on Friday, May 13, 2011. 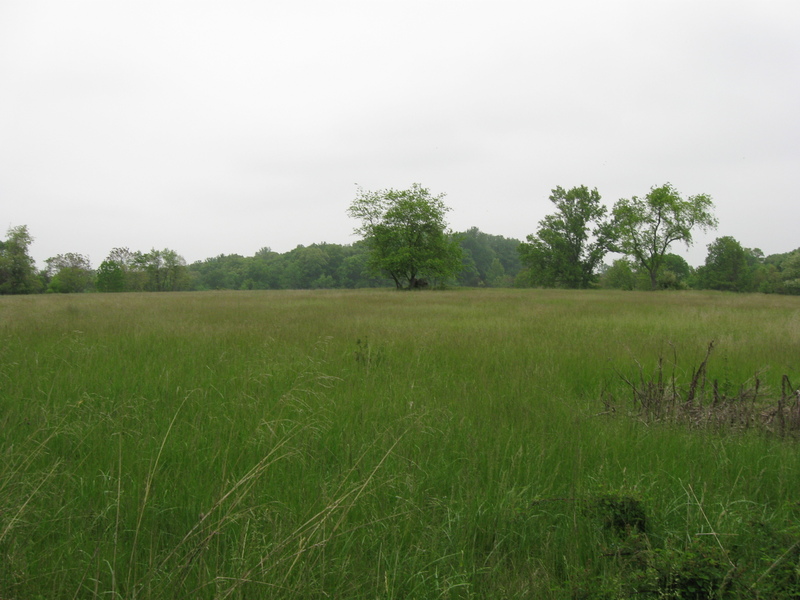 This photograph by William Tipton shows Powers Hill from the meadow north of the George Spangler Farm lane. 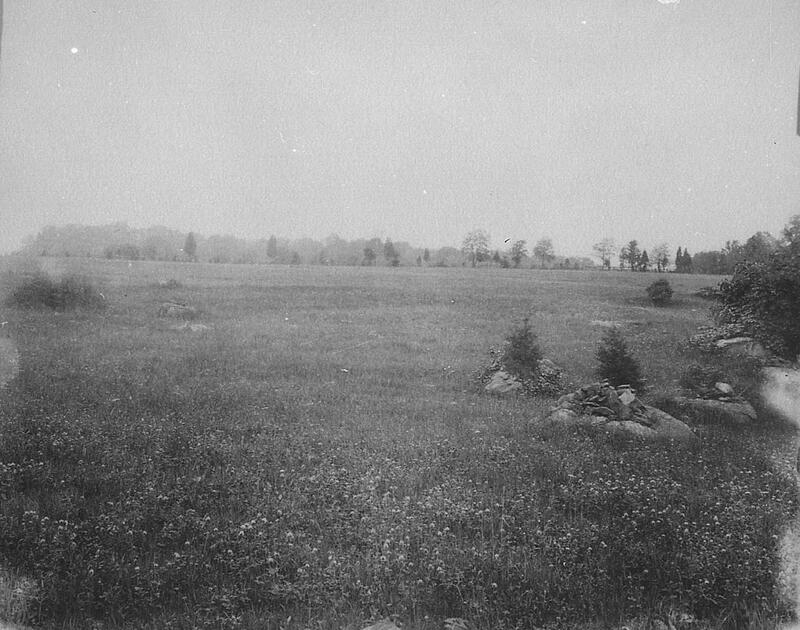 This view was taken facing north in 1906. A modern view similar to the previous location. This view was taken facing north at approximately 4:45 PM on Friday, May 13, 2011. 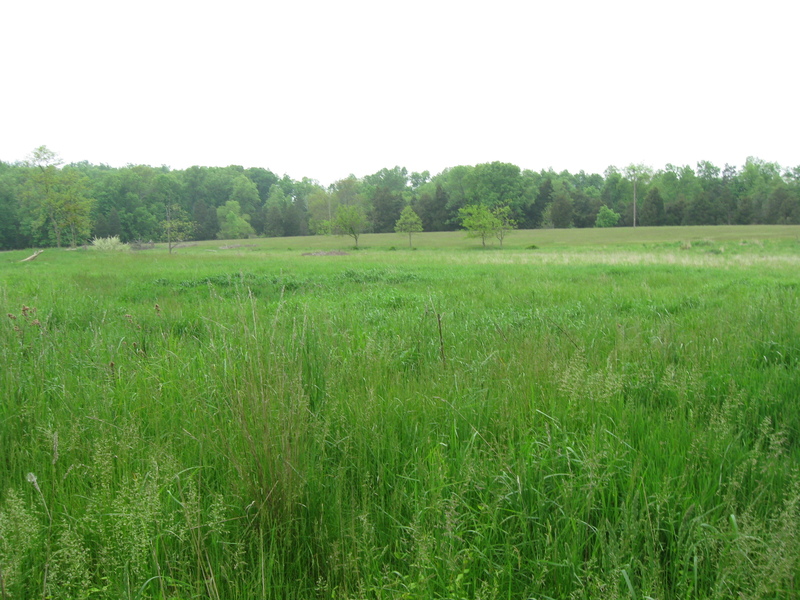 A view of the meadow on the George Spangler Farm. This view was taken to the left of the previous William Tipton photograph. 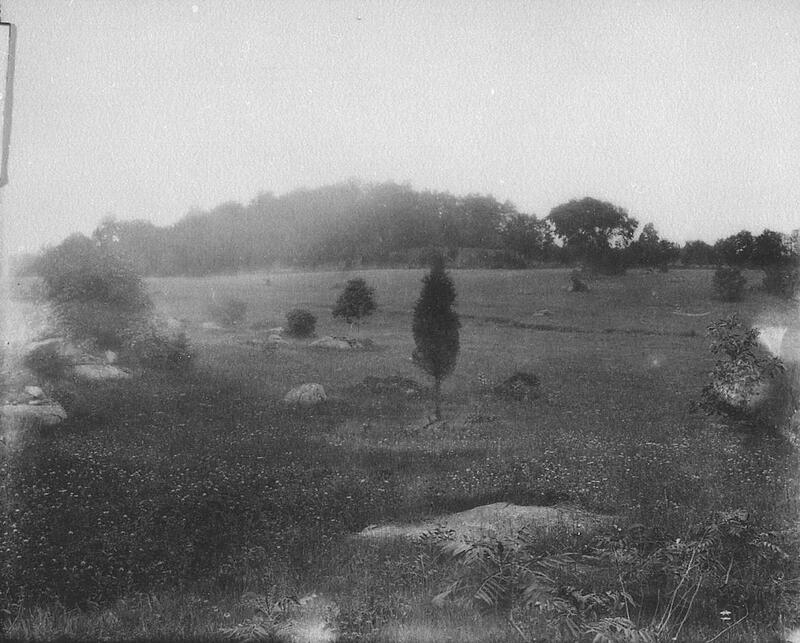 This view was taken facing northwest in 1906. Although we took this modern photograph just to the left of the previous modern photograph, we’re not happy with how the terrain is lining up with the 1906 view supposedly taken from this same area. This view was taken facing northwest at approximately 4:45 PM on Friday, May 13, 2011. 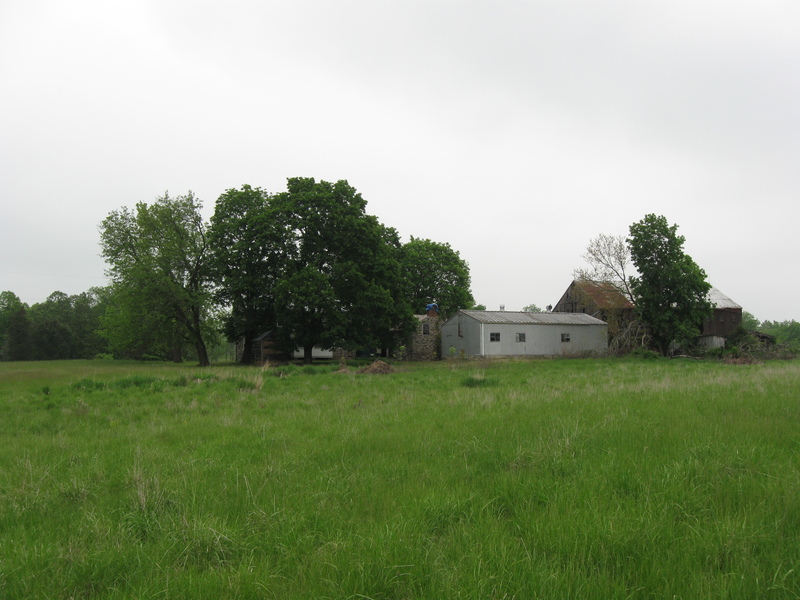 This view of the George Spangler Farm buildings was taken from the meadow northeast of the Spangler buildings. Powers Hill is more or less behind the photographer. This view was taken facing southwest circa the 1880s-1890s. We didn’t want to get as far away from the buildings as the photographer did in the previous photograph. This view was taken facing southwest at approximately 4:45 PM on Friday, May 13, 2011. 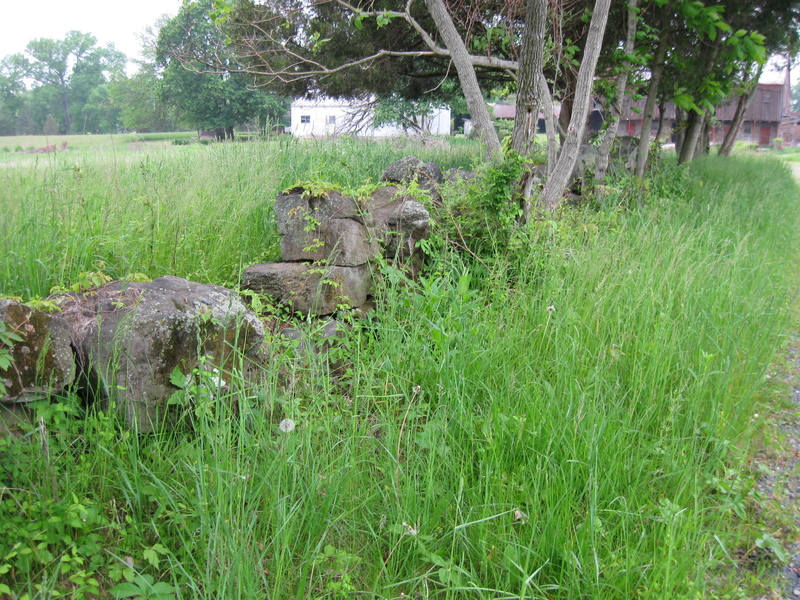 The previous photographs concentrated on the field to the right (north) of this lane. Now let’s go to the left of the lane. This view was taken facing northwest at approximately 4:45 PM on Friday, May 13, 2011. Pretty good sized rocks form a stone wall on the left (south) side of the lane leading to the Spangler buildings… This view was taken facing west at approximately 4:45 PM on Friday, May 13, 2011. 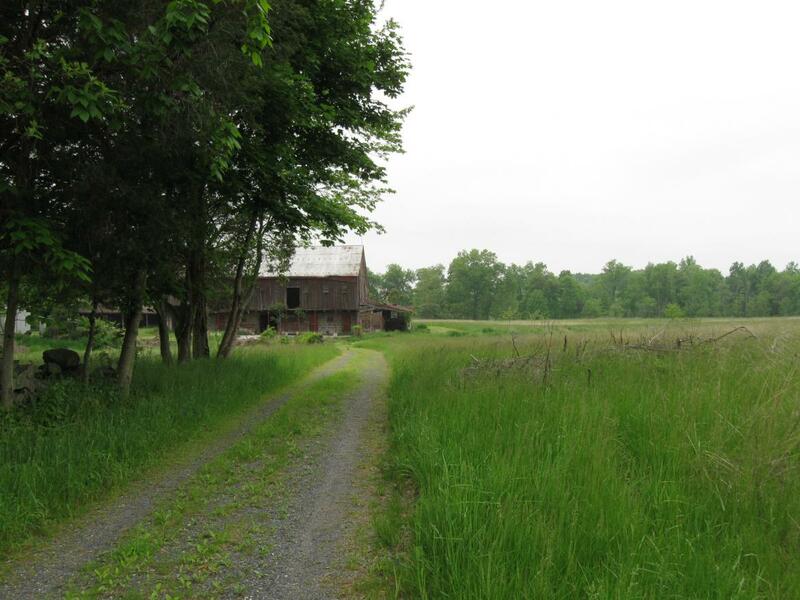 … and back to the entrance on Blacksmith Shop Road. 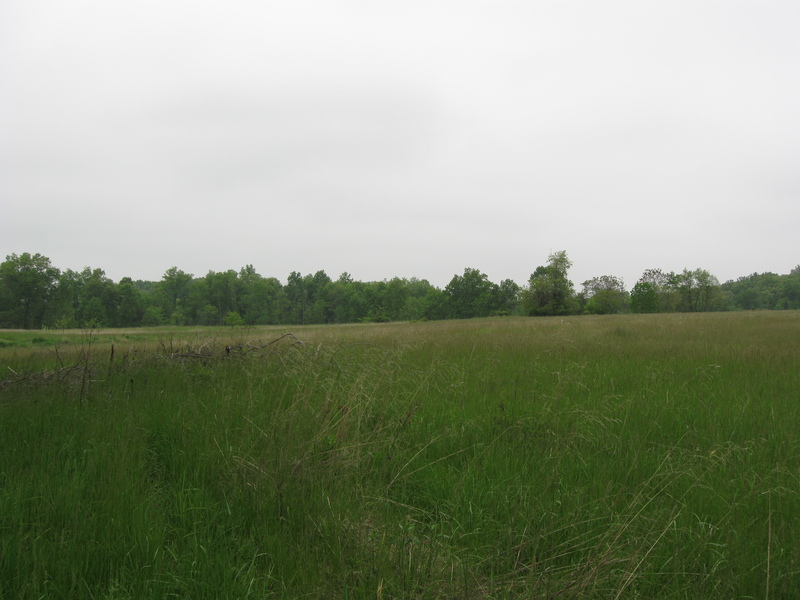 This view was taken facing southeast at approximately 4:45 PM on Friday, May 13, 2011. We’re climbing the wall and going into this field where the next photograph was taken. This view was taken facing south at approximately 4:45 PM on Friday, May 13, 2011. “Family members” (George Spangler family or tenants?) 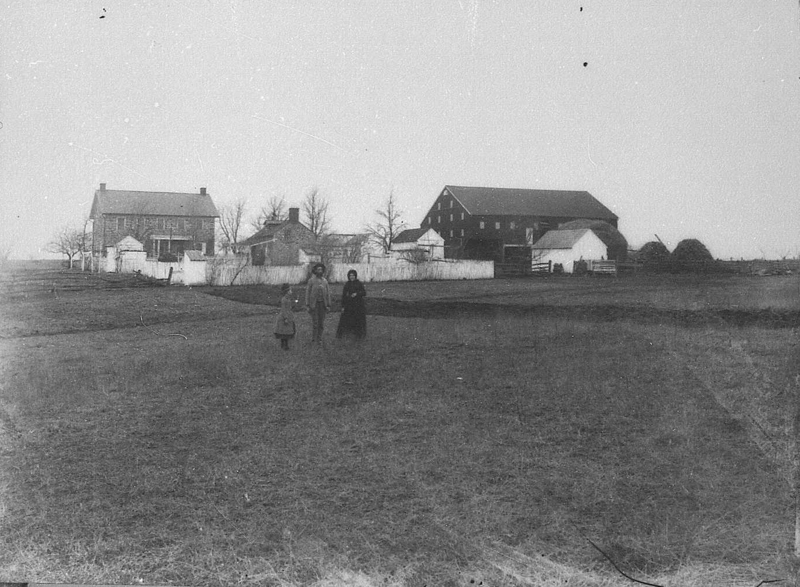 in front of the farm buildings circa 1890. 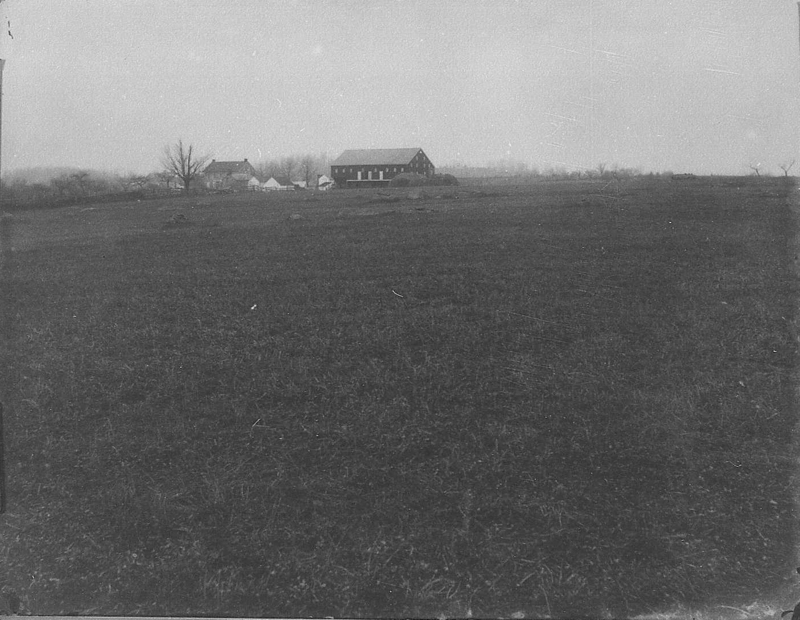 Items shown include from left to right the house, smokehouse, outhouse, summer kitchen, an assortment of other whitewashed buildings, the barn, a hay rick, and two stacks of “chop fodder.” This view was taken facing northwest circa 1890. The modern view of the previous photograph. There is a large gray, modern building taking the place of the assorted whitewashed buildings. The white picket fence and the outhouse are gone. This view was taken facing northwest at approximately 4:45 PM on Friday, May 13, 2011. 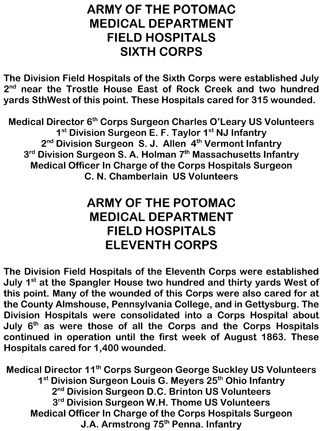 The text for all of the Corps Hospital markers. For a pdf version, click here. 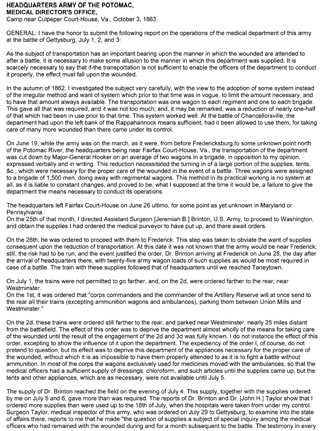 Dr. Jonathan Letterman’s Official Report of the Battle of Gettysburg. For a pdf version, click here. 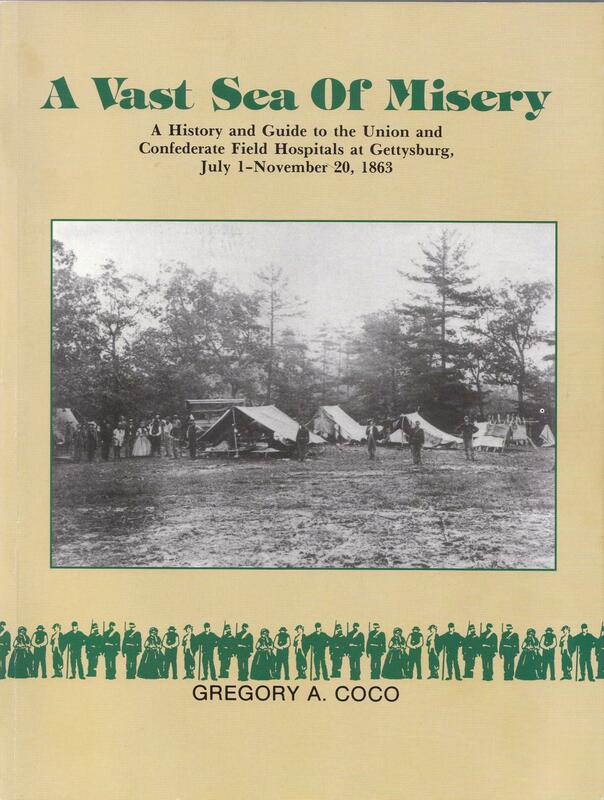 Greg Coco’s book, A Vast Sea of Misery is available from Thomas Publications. For ordering information, click here.